This novel is made up of a mother’s letters to her husband. She explores (ad nauseum) her culpability because her son committed mass murder at his high school. Despite the book’s very subjective viewpoint, I couldn’t forgive its implausible, black-and-white take on such a heinous crime. Of course the mom never wanted the son, didn’t love him (enough? ), was a bad disciplinarian and on and on it goes. Oh yeah, she even listened to “Pyscho Killer” while pregnant. (I roll my eyes.) My two take-aways are that Shriver is fantastic at using a thesaurus and creating a novel that’s hard to put down—even though you really want to—because of its car-crash quality. 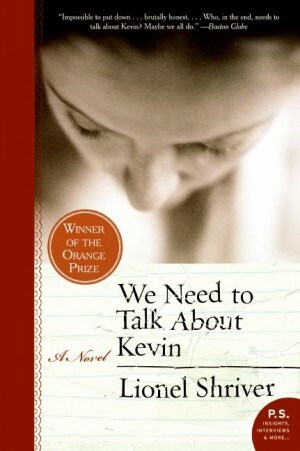 This entry was posted in I Read and tagged book reviews, books, lionel shriver, reading, reviews, we need to talk about kevin. Bookmark the permalink.